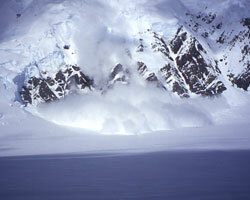 This course is for people with no previous training in Avalanche Awareness. The one day programme is designed to give you a solid foundation of knowledge and skills, for you to build on in the future. Subjects covered include why avalanches occur, risk reduction, and simple rescue techniques including use of safety equipment.The course is run on the mountain, using skis or snowboards to travel. 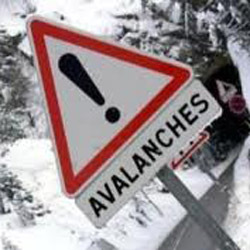 If you have the time we strongly recommend you also book the Avalanche Progression Course for the following day. If you have already done a Foundation course or have previous experience of Avalanche Awareness training then this course will take you to the next level. Building on the skills you already have, you will become a safer off-piste skier and a more effective rescuer. We will start with the most important process in avoiding avalanches - by planning your day on the mountain. 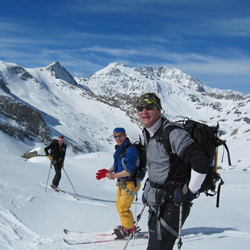 We will cross reference off-piste itineraries with a map, avalanche forecast and the weather forecast. This simple process is the most effective way of avoiding avalanches, but is seldom practised by off-piste enthusiasts. Understanding snow science, avalanche prediction, and multiple burial scenarios will give you the freedom to explore the whole mountain. The course is run on the mountain, using skis or snowboards to travel. 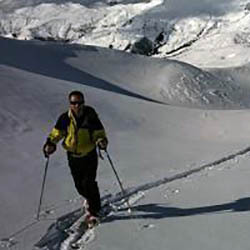 NB early and late season courses use ski touring equipment in case of poor snow conditions. These courses are clearly marked as touring courses. If you really want to get the most out of your time in the mountains, then you should consider Private Instruction/Guiding. 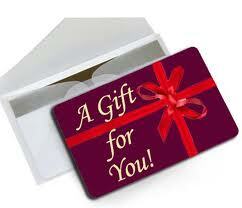 This can be arranged for individuals or groups, and can be either single or multiple days. The day does not have to follow a set format, and will be tailored to meet your exact needs. 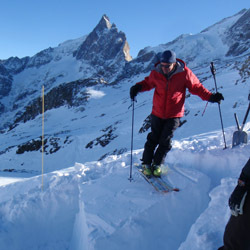 We arrange private avalanche training, and also regular off-piste guiding. If you know someone heading to the mountains this winter, why not give them a gift certificate for a safety training course ? 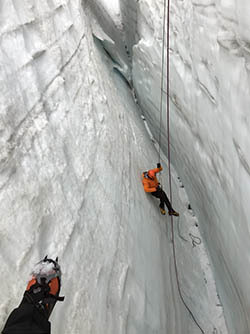 If you're going to be riding on glacial terrain then you need to know what to do if someone takes a crevasse fall. Could you get your friend out ? Could you get yourself out if someone could get a rope to you ? This intensive one day course will teach you the following: - Crevasse Avoidance - How to build solid anchors - How to carry out self rescue - How to haul a casualty out of a crevasse The course is run on the mountain, using skis or snowboards to travel. If you would like to arrange a course for Alpinists, travelling on foot, please e mail us and book a day of Private Training. The most famous off-piste descent in the world ! A guided descent of the world's most famous and longest off-piste descent. The Vallee Blanche is much more than just a ski descent. It is a journey through wild and pristine alpine peaks. An unforgettable trip into a world most people will never experience. Please note that we only advertise these trips when we are sure of good weather, so usually 3-4 days in advance. Follow us on Twitter (@AvalancheAcad) or Facebook (Avalanche Academy)for updates. Do you enjoy off-piste but find resorts too crowded ? 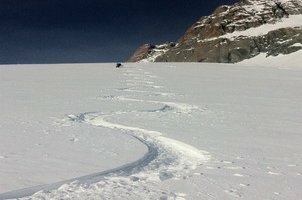 Then why not go ski touring, where you can leave the crowds behind and make your own tracks in the backcountry. A two day course to get you started.